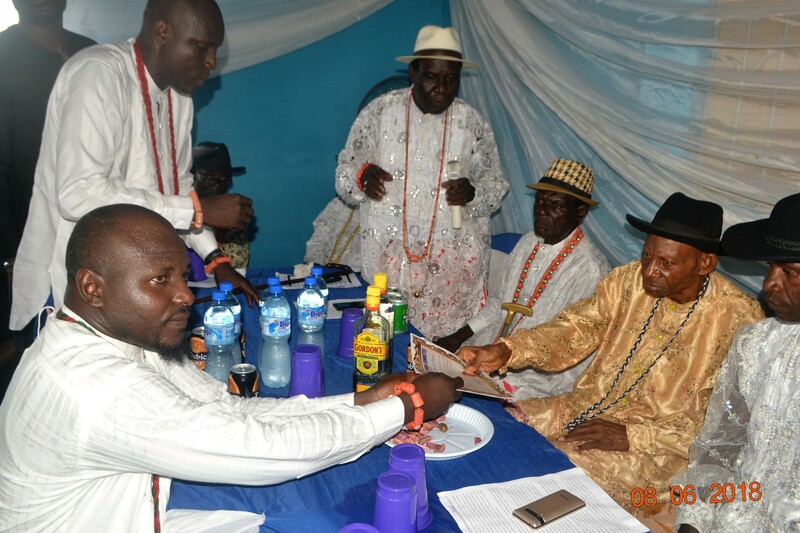 The Olare-Aja (head) of Omadino Community in Warri South Local Government Area, Delta State, Pa. Victor Esu has charged the newly sworn-in executive of Omadino Employment Development Association, OEDA to make peace, security and accelerated development top priorities in order to fast-track the much needed development to Omadino. 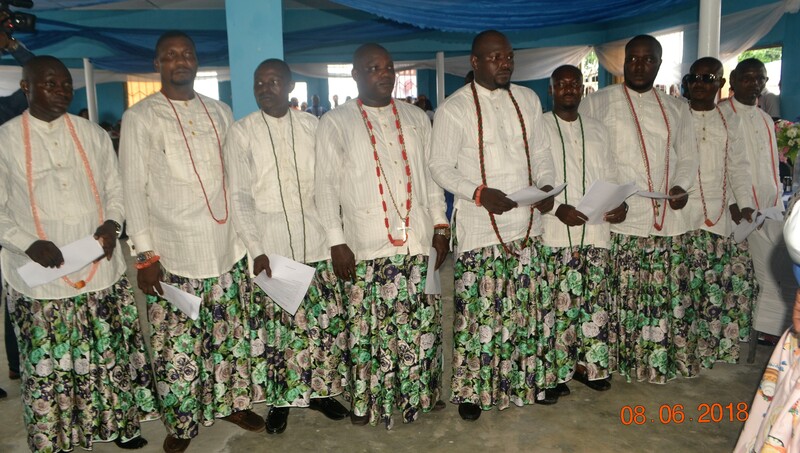 Pa. Esu gave the charge Friday June 8 during the swearing-in of the newly elected executive of OEDA at Omadino. Chairman of the event, Mode Akoma admonished the new OEDA leadership and other Itsekiri communities to always respect their Olare-Aja (community head) and appealed to community heads to be bold in decision making, irrespective of who may be involved. He commended the immediate administration for their peaceful disposition and for displaying good character that ushered in the new executive in a well-coordinated transition process. The Chairman of Itsekiri Regional Development Committee, IRDC, Amb. Austin Oniyesan tasked the OEDA executive to ensure that employment opportunities are made available for Omadino indigenes. He advised the youths to sustain the peace within the community and neighbouring ethnic groups in order to attract more government attention to the community. In his address, President of OEDA, Francis Niro Omaro, promised to attract job opportunities to the community, engage indigenes to usher in development and make sure there is improvement in the road network within the community, among other infrastructural goals. He enjoined those building houses in the community to follow the approved building master plan of the area in order to pave way for access road. Chairman of Warri South Local Government Area, Hon. Michael Tidi charged the OEDA youth body to sustain the existing peace, adding that Warri South is ready to partner all communities in the task of ensuring all-round development. Hon. 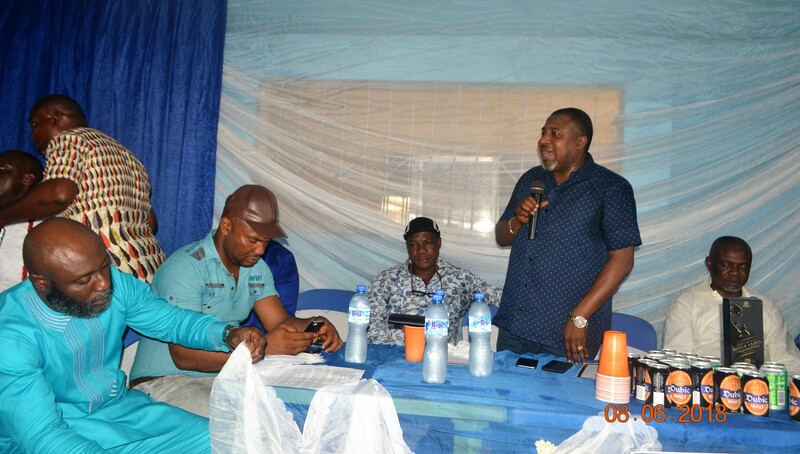 Tidi who was represented by Secretary to Warri South Local Government Area, Mr. Joseph Uwale Oribioye, commended the community for their peaceful conduct during the election that brought in the new OEDA executive. According to Our Senior Correspondent, others who spoke at the event are: Mr. Franklyn Indiamin Eyikimi, Pa. Dickson Ekpoto and immediate past President, Mr. Oritsema Aguarabureye.